Once again, the celebration of The Assumption of The Blessed Virgin Mary (Velika Gospa) has taken place in our Parish. As per tradition, the celebration was held at the Croatian picnic grounds with a large gathering of our faithful parishioners. 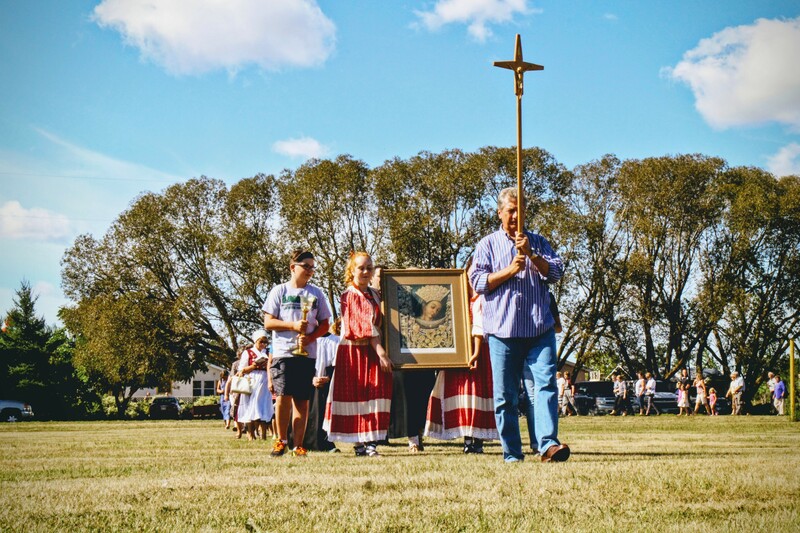 Our parishioners began the celebration of ‘Velika Gospa’ with praying the rosary at 10:30, followed by a procession with a picture of the Blessed Virgin Mary and a joyous Eucharistic celebration in the community centre hall led by Reverend Marko. In his homily Father Marko mentioned how Mary’s assumption is a great promise for all of us because all who follow in Mary’s footsteps, who follow her path in life, which is a path of humility and fidelity, can with a peaceful soul look forward and rejoice in the joy of eternal life. Father Marko also encouraged his parishioners in his homily to not throw away the great and beautiful things that God brings before them because of our weak or small faith. We should not be afraid but instead, like our Virgin Mary, believe even more and increase our faith. The Eucharistic celebration was highlighted by our Parish choir. Following the celebration of Mass, parishioners continued their socializing gathered around the family table for a picnic. The United Croats of Canada hosted and as per tradition prepared delicious roasted pork and lamb. Together, blessed with beautiful weather, we continued our celebration with music, lively conversations, lawn bowling and of course fun games for our youngest parishioners.